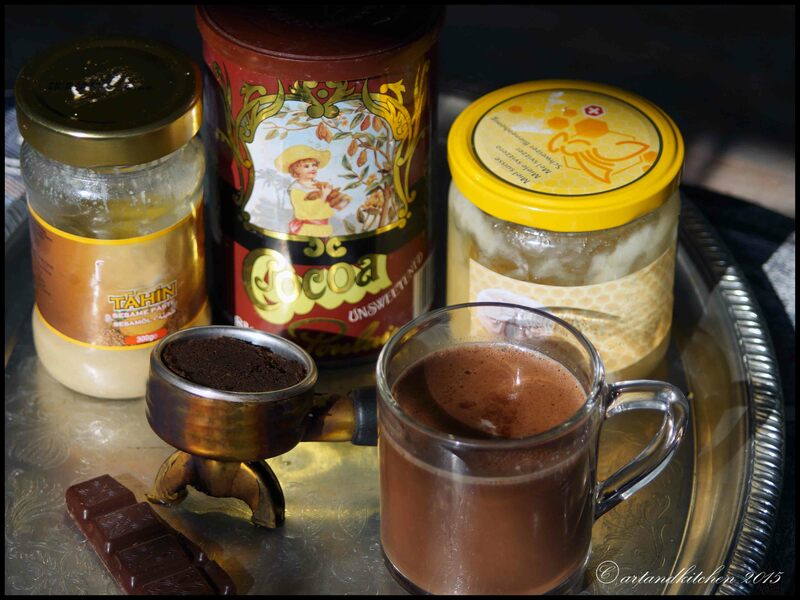 A delicious mocha enriched with chocolate and TAHINI! I never used tahini in a beverage but this is great ingredients that really merits more appreciation. I warmed the ingredients simply in the microwave and stirred!